William Karl von Bonde (known as "Boetie" to his students) matriculated at the Normal College Boys' High School in Cape Town in 1908. Continuing his studies at the South African College, Cape Town, he was awarded the degree Bachelor of Arts (BA) by the University of the Cape of Good Hope in 1913. He continued his studies at the College until 1915, in which year he had a paper published "On the crystallography of anatase crystals from the auriferous conglomerate of the Witwatersrand" (Transactions of the Royal Society of South Africa, 1914/5, Vol. 4(3), p. 299). On 1 October 1915 Von Bonde was appointed as temporary lecturer in zoology at the South African College (which became the University of Cape Town in 1918). He resigned from this post in December 1917 to take up an appointment as lecturer in geology and mineralogy at Grey University College, Bloemfontein. Meanwhile he had started research in zoology leading to a paper "On an abnormality in the genital organs of Jasus Lalandii (Milne Edw.)" (Transactions of the Royal Society of South Africa, 1918/9, Vol. 7, pp. 119-123). He was awarded the degree Master of Arts (MA) in geology by the University of Cape Town in 1918, followed in 1922/3 by the degree Doctor of Philosophy (PhD) in zoology, with a thesis on the Post-brephalus development of South African Macrura (a group of larger Crustacea, including the common lobster and crayfish). His thesis was later published in the Reports of the Fisheries and Marine Biological Survey (1929-1931). 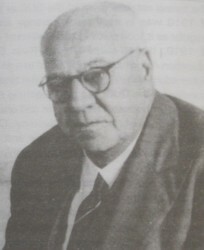 In 1925 Von Bonde was promoted to professor of geology at Grey University College (from 1950 the University of the Free State), a post he held until his retirement at the end of 1951. From 1921 to 1951 he was responsible also for teaching geography. Throughout his career he was heavily involved in teaching, had little time for research, and had no research students. However, his status in the international geological community is shown by his election as a Fellow of the (British) Geological Society. He was a member of the Royal Society of South Africa by 1917. In 1923 he served as joint secretary of Section B (which included geology) of the South African Association for the Advancement of Science when it held its annual congress in Bloemfontein. Von Bonde retired to his holiday home in Nature's Valley, on the Cape south coast. Anhaeusser, C.R. (ed.) A century of geological endeavour in southern Africa, 1895-1995 (pp. 206-208). Johannesburg: Geological Society of South Africa, 1997. Transactions of the Royal Society of South Africa, 1914/5, Vol. 4 and 1918/9, Vol. 7, papers by W. von Bonde; 1917, Vol. 6, List of Fellows and members. Union catalogue of theses and dissertations of South African universities, 1918-1984. Microfiche copy, University of South Africa. University of the Cape of Good Hope. Calendar, 1909/10, 1912/3, 1914/5, 1917/8.